I'll be in conversation with Puneeta Roy at 12:30 pm on Friday, February 19th. We'll be in the Samvad talking about many things, including reading, books and libraries. 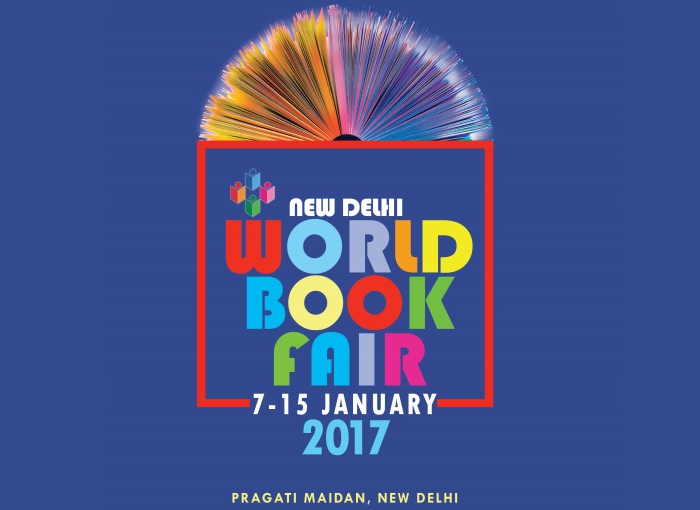 At 3:45 pm on Friday, Keki Daruwalla, Clare Azzopardi, Mark Tully and I will be in conversation with Sunil Sethi about short fiction. We'll be in the Baithak. On Sunday at 3:45 pm in the Durbar Hall, I'll be talking with David Park and Marcos Giralt Torrente about their recent books and their thoughts about art, poetry and family. On Monday at 3:45 pm, Danish Sheikh, Lila Azam Zanganeh and I will be in conversation with Rick Simonson about the future of libraries and reading, among other things. That will be in the Bathak. You can find the schedule for the entire festival here. 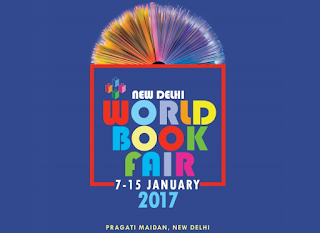 Literary critic Trisha Gupta and I will talking about my book Bicycle Dreaming at the New Delhi World Book Fair this Thursday, 12 January, 5pm, Hall No.18, Pragati Maidan. Do come. 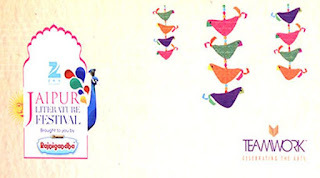 I'll also be speaking at this year's Jaipur Literature Festival for those of you who will be there. Meanwhile, I updated the review section of this blog. The link to that is here. My new book, Bicycle Dreaming is at the printer, and I'll be launching it at IIC Friday Jan. 29th at 6:30. I'm looking forward to discussing it with Veena Venugopal. I can promise you good conversation, tea and samosa. I hope to see you there, and do spread the word! 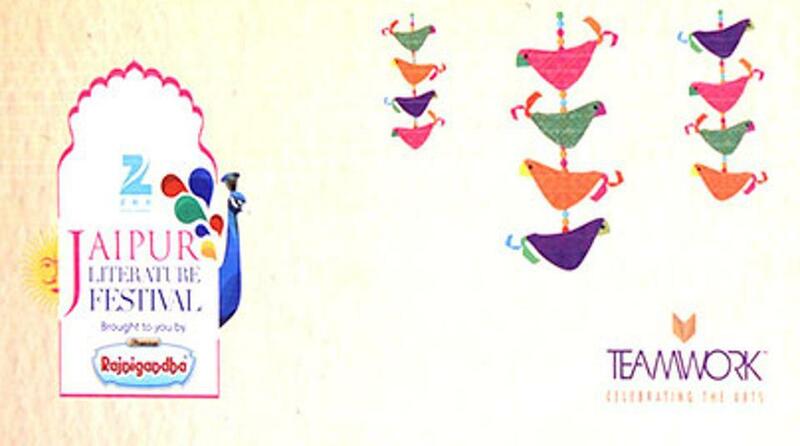 Noor turns thirteen on the first page of the book; we leave her at fourteen on the last page. In between, she falls in right and wrong love, comes apart, together, and apart again from her family. We, the readers of the story, take measure of how much we know about happiness and wholeness in relationship: where does it come from, how do we account for it, and when the bottom falls out from under us, how do we survive our unheroic stories? I recently gave an interview to Adoptionperheet, the magazine of Adoptive Families in Finland. If you read Finish, you can read it on-line here. For those who do not read Finnish, the un-edited text is below. You are an Indian writer and also an adoptive mother, and you have written about adoption in your books. Would you say that your own idea of adoption was changed by your experience of the adoption process? My writing is always interested not only in telling a story but also in examining the very nature of storytelling. That is, how do we choose the stories we tell and how do we structure story telling. Nothing has brought home to me the importance of this examination like my experience with adoption. I subscribed to the happy ending story prior to entering the world of adoption. My thinking about adoption was quite unconscious and therefore completely uncritical. Even as I waited for my daughter, I became more conscious that the adoption story was just a story, constructed, quite romanticized, and not as I had assumed, the description of some absolute truth. I recall driving to the appropriate bureaucracy in the US city far from where I was living and being met there by an adoption agency employee who was to assist me in filing my papers. While waiting in the long line, she spoke of many things including her own adopted daughter’s struggles, which she blamed on her daughter’s poor choices as a young adult. Then she went on to criticize an adoptive parent known for attributing her child’s struggles to the institution of adoption. She implied this parent was incompetent, or worse. I was left nodding along. I felt myself being organized to her position and there was something sinister in this. I had the sense that the fat file in my hands which was to bring my child home would not go forward without her help and the help of many others who had a vested interest in maintaining a very particular story about adoption. I no longer nod along with the idea that adoption is about a forever family with a happy ending. Too much that is important is left out of this story. Loss, for one, is left out. While there may be a forever adoptive family, there is also a biological family the adoptee is separated from and that the adoptee may desire to be reconciled to. This biological family may want the reconciliation. In this picture, unhappiness, the kind of unhappiness known to the powerless and disenfranchised, arises from the lack of legal and social avenues for effecting the desired reconciliation. In your short story ”Jane Eyre”, the protagonist is Lubna, an Indian woman who now lives in America but has adopted her daughter from Kerala. When Lubna’s pediatrician aunt saw the dark-skinned Keralan girl for the first time, she asked: ”Didn’t they let you choose?” Lubna says that everybody in America finds the girl beautiful, but nobody in India does. It is well known that fair skin has traditionally been seen as desirable in India, equated with success and good social standing. Would you say that this sort of skin-colour racism is still prevalent, or is the situation changing in the younger generations? How does this attitude affect the domestic adoption situation – do most PAPs still want a fair-skinned child, or are people in the urban middle classes, for example, becoming more open to other options? It is not possible to generalize about what prospective adoptive parents in India desire in their children because it is a huge country with multiple traditions relating to child bearing and adoption as well as diverse personal experiences that inform individuals’ decisions to adopt. If there is something common among most PAPs in India, it is what is common among PAPs everywhere: the desire for a child who is a blank slate. This is the subtext of the adoption story that contemporary adoption continues to offer PAPs everywhere: they can have a child unencumbered by history. Even as adoptive parents in India embrace this story, they wrestle with the knowledge that this story makes no sense. The parent who wrestles prepares to provide the child with some access to the story she brings with her but also begins the lifelong process of drawing a line that separates this story from the story the parent wants to tell: the story of the blank slate and its corollary, the happy ending. Adoptive parents everywhere love to tell their child that though she was not born in her mother’s stomach, she was born in her mother’s heart. Depending on the individual adoptive parent, the child may receive some or no support in thinking about the first mother in whose stomach she was born. And certainly, many adoptive parents in India, as elsewhere, completely avoid mention of the first mother’s heart. I cannot use the word ’racism’ to describe the preference for fair skin in India, not while the term is in use to describe the enslavement of and ongoing brutality against people of African origin in the United States and elsewhere. The preference for fair skin in India is more reflective of Indian classism and casteism; dark skinned children are equated with lower class and caste. This preference is problematic, but just not in the same way that racism in problematic in the west. 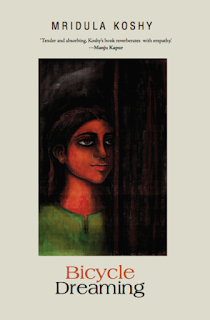 In my story, ’Jane Eyre,’ I see the Americans who find Lubna’s daughter beautiful as racist. The fetishization of dark skin colour in America is part of how racism plays out there today. At least one of the controversial episodes in the Indian adoption world around skin colour has to do with inter-country and not domestic adoption. In the late 90’s, members of the fair skinned Lambada tribe were persuaded to part with their children as these children were desirable for placement in the inter-country adoption stream. We are told that domestic adoption as such is becoming more accepted in India. From the viewpoint of foreign adoptive parents, the attitudes they have met in India have been variable, sometimes approval and congratulations but also critical and harsh questions like ”did you buy him/her?”. Sometimes also inter-country adoption processes have been stalled or delayed because an administrative official or judge disapproved of children being taken out of India. In contrast, would you say people mostly approve nowadays of domestic adoption within India (or adoption into NRI families)? Also, do Indian adoptive families see themselves as part of an adoption community – do they seek each other out, keep in touch and share experiences and advice, or is adoption regarded more as a private matter? Trafficking is a real issue in adoption, and not coincidentally or accidentally, but rather inevitably; the inequitable structure of adoption – the powerful adopting from the powerless – invites corruption, most often in the form of third party brokers. Those who were suspicious of how I had adopted my daughter were working poor people. The middle class were, for the most part, congratulatory. The former were suspicious, as they should be, and the latter comfortable, as they would be, with a system that favours their class. Thankfully, no one comments or raises questions in front of my child now that she is old enough to follow what is being said. Domestic adoption is growing in India. In a positive development, many adoptive parents seek one another out and there is an attempt, not unlike the one in the west, to look at adoption as an identity to be created in conversation with others, rather than a secret to be buried. This is positive in my opinion, especially because the trend in the west where the current form of adoption came into existence is for adoptees to continue in adulthood the work of identity formation which their adoptive parents helped them begin. The Korean American adoptee experience teaches us in the adoption community much about what the future holds for all members of the adoption triad – the biological parents, the adoptive parents, and the adoptee. This is a community -- some of whom were adopted as far back as the 1950s, some of whom were adopted as part of the evangelical thrust of the adoption industry in the US, and many of whom write movingly of the love they experienced in their adoptive homes -- that today has won the legal right to reclaim citizenship in their first country. Clearly the work of identity construction, if it is to be a coherent and empowering experience, must have access to collective thinking and action. You yourself adopted while living in America, didn’t you? Would you like to say something about the general attitudes to adoption in America as compared to India? Again, the general attitude toward adoption is very similar in America as it is to the attitude in India both within the adoptive community and in the general culture. People in the working class in both societies are suspicious of the institution and the ’good’ it does. Conversely many will express envy and comment that the adopted child is lucky to benefit from the upward class movement. On reflection, this seemingly converse thinking can be understood as class envy and the understanding that children left behind in institutions will predictably suffer neglect and worse. Those from the upper class background, the background shared by adoptive parents, see it as a benevolent institution with perhaps a few wrinkles to iron out. Very few in the upper classes in either society will argue that s structural inequity plays any role in the process. Again in ”Jane Eyre”, the story mentions the daily routines of both mother and child in order to get through life together: ”She has chosen to forego mention of the 10 mg of Prozac she takes daily to combat Asha’s 5 mg of Risperdal, 5 mg of Strattera, and the a.m. and p.m. 5 mg of Triptafen.” People in the Finnish adoption community are well aware that adopted children often have special needs like ADHD or learning difficulties, as well as physical conditions like Hepatitis B or Thalassemia, and the home study processes emphasize that PAPs should be prepared to deal with such issues and get help where necessary. Are these aspects addressed in the Indian public discourses on adoption as well – are the parents prepared for the challenges? I do not have first-hand experience of domestic adoption in India though I am Indian and live in India. My experience was with inter-country adoption. The adoption agency in the US did little to prepare me or other parents in my cohort for the reality of our children’s struggles. While some struggles adoptees face – learning disabilities or physical conditions like Hepatitis B – pose a challenge to adoptive parents and the wider community in their effort to sustain the adoptee, they are nevertheless more easily assimilated than the struggle of the adoptee who experiences adoption itself as psychically painful. The adoptee’s lifelong struggle to live with not only what is not known about their story but also what is not allowed to be known is an area left completely untouched by adoption agencies, in the US and I daresay in India, as well. Identity, when it is spoken of, is equated with external and cosmetic aspects of culture – bangles and bindis – and somewhat with the work of internal nourishment – primarily the addition of Indian items to the family dinner menu, but not, of course, the need for adoptive parents to acquire fluency in the child’s language or religion. That said, services for children with learning disabilities is drastically underfunded in India when compared to funding for similar services in the United States, for example. To the extent adoptees are more likely to suffer from learning disabilities they are more disproportionately impacted by the government’s failure to provide needed services. It is well known that the Indian bureaucracy is unpredictable and can cause great delays at practically any step of the adoption procedure. The latest reform of the national adoption system in 2012 was officially aimed at shortening the lengthy processes and waiting times, but in practice it has led to lengthy stalls and even longer waits, at least from the international perspective. Most recently, this year’s new government has promised another overhaul of the adoption system to speed up the processes. It is certainly a good goal to shorten the time children have to spend in orphanages where there is always a shortage of individual attention and care, not to mention the risk of abuse of every sort. But do you think there is also an increased risk of overlooking the necessary checks on the children’s situations and backgrounds in the pressure to get them ”out” more quickly? Absolutely, there is pressure to get children out quickly, and this can result in a real increase in the risk to serving the child’s best interests. If adoption were different, more equitable, we would be worrying not about the delays in children’s placement, but rather the failure to invest in the option of reconciling children with their birth families. The child’s plea to be reconciled is misread as the child’s plea to be adopted. The pressure from birth families for such sustenance as allows them to nurture children would not be ignored in the rush to meet the needs of adoptive families. This will not change until the adoptee and birth families have more power in the triad. Such change is underway in parts of the world, where open adoption is becoming a possibility. It is not coincidental that these are the countries where adoptee communities and birth mother communities are organized and vocal. This has meant an increase in inter-country adoption, as western families have sought a way out of open relationships with biological families. As adoption has changed the very notion of what is a family, so too will the notion of adoption change as more voices participate in defining what they need from adoption. In the future, it will perhaps seem barbaric that women in difficult straits are forced to relinquish their children under circumstances which stipulates no possibility of future contact by any party. In the past, adoption in India looked different than it does today. Children were cared for in the extended family or community in the event they were orphaned or their parents could not care for them. Significantly, in the latter case, parents often retained the right to ask for their children’s return once they were capable of meeting the child’s needs. Today there are documented instances of mothers relinquishing their children in the mistaken belief that this adoption is like that older adoption. Not all was perfect in the olden days of quasi-open adoption. My mother grew up in a home with a distant cousin, brought there to occupy the ambivalent role of servant and family member. Needless to say, we do not need to be conflicted about rejecting the worst of the past, even as we take from it the notion that change is a constant, though not inevitably for the better. You have said that you wrote the novel Not Only The Things That Have Happened partly in order to make a difference in the narratives on adoption. The book explores the personal situations and social prejudices and inequalities that can lead a biological parent to give up a child, as well as the lasting effects of adoption on the lives of both the biological family, the adoptive family, and the adoptee him- or herself. You write about interrupted stories – the biological mother no longer has access to the continuation of her child’s life story, and the adult adoptee has lost the beginning of his own story. Do you feel that these losses are too much overlooked in the dominant adoption narratives? My novel tells the story of a poor mother in India who wants to keep her child and does not receive support for this desire. Nevertheless she keeps her child for four years, relinquishing him only when a couple from another country show up at her doorstep, sent there by nuns from the local convent. The prevalent narrative most often sees the birth mother as hideously unfit for parenthood or equipped with courage that allows her to relinquish a child she cannot raise. Sometimes this birthmother is allowed to be both – unfit and courageous. At other times she is unfit and the child must be removed from her. In both versions of the birthmother story, she ceases to exist after the relinquishment. We can forget about her because she presumably lives without any connection to the child’s story. The birthmother in my novel is neither unfit for motherhood, nor does she describe her decision to relinquish the child as courageous, but rather sees it as a weakness in the face of formidable difficulties. She does not disappear from the novel but instead lives with all the dilemmas of someone who must process lifelong grief and uncertainty. She desires her child’s return but if powerless to effect a reunion. Her story is a fairly new one in that it continues past the act of relinquishment. Part two of my novel is about the life of the adult adoptee. The idea that adoptees live with the complex difficulty of the adoptee identity is very little told. One of the prevalent ideas of adoption is that the child, as she matures, will grow out of any dissonance created by adoption. That there is happy ending brought about by adoption. In fact, we know now from the experience of adult adoptees that this dissonance, and the work of assimilating it, is a lifelong process. Once, after a public book reading, a middle aged woman in the audience spoke movingly of her mother who continues this challenging work into her seventies and about the impact of this on the generations that have followed her. Finally, I was interested I my novel in the telling the story of adoption so that it reflects the necessarily complex work of undoing existing narratives. My story then is structured so that it starts and restarts itself in the attempt to grapple visibly with the difficulties that beset all new story telling. Traditionally, adoption agencies and social workers have strongly discouraged any contact between birth parents and adoptive parents, sometimes saying that ”the birth parents would just ask you for money”. But it seems to me that attitudes are changing in this respect. More adoptive parents are becoming open to viewing the birth family as a part of the child’s ”extended family” instead of seeing them as a threat to their own parenthood. Also, the advent of social media has made it possible for both adoptees and their biological relatives to seek each other out and establish contact independently of any official routes. What do you think of this? I find the search for reconciliation a positive effort. I would advise adoptive families to not confine themselves to heritage tours of their children’s birth country but to also pay attention while there to the trail their children might search for when they become adults. Just as we anticipate for the rest of our children’s futures, sacrificing and saving money for college for example, so we can anticipate for this possible future, as well. This is another reason for adoptive parents to learn the language of the home country of their child, and to seriously engage with the dynamic nature of the political and social life of the home culture. Much is asked of us as parents that we may not have known when we began this journey but on reflection much has been asked of our adopted children. Moving beyond the consumption of cosmetic and static cultural artefacts of the home country brings a measure of balance in that equation. You’ve asked the question: isn’t the birth mother ”exactly the mother that the child needs”? On the other hand you also describe in your novel mothers, stepmothers and fathers who treat their families badly and who were themselves treated badly by their own families. Isn’t the idea of the birth parent as best parent as much of a myth as the idea of adoptive parents as benefactors and saviours who can do no wrong? While I would not argue for a child remaining in an abusive home – whether with birth or adoptive family – I believe we must start from the assumption that the child’s needs are best served where this is least psychic disruption to her. This means every effort must be made to sustain the birth family. I also believe in the biological parent’s right to raise their child, and as well their right to receive adequate support in raising their child. Adoption is a choice people must be free to make. For example single parents, LGBT parents and parents from the lower class should not be excluded from the possibility of adopting as they often are. On the other hand I do not see adoption as a person’s right. The biological parent’s right to raise their child should necessarily trump the adoptive parent’s choice to adopt a child. If, for example, a country closes its doors to inter-country adoption, it cannot be an adoptive parent’s right to seek adoption from that country. If, the court intervenes to return a child to biological parents after the child has been found to have been adopted illegally, the biological parent’s right to parenthood must prevail over the adoptive parent’s desire for parenthood. In the past, the argument that a child was best off with her biological parents was rightly critiqued as regressive. It was seen as a backward argument because it was an argument that gave primacy to traditional notions of genetic ties. After all, the argument that gave power to the notion of the supremacy of biological ties over other ties proceeded from the same sort of biological determinism from which racism and casteism sprang. At its worst, the argument against adoption was an expression of distrust in the genetic material that was the child. That is, the child might carry the imprint of genetic inferiority, perhaps criminality, into the new family and should therefore be barred from entry. Adoption was then a brave opening up of relationships, even transgressive in its reach across racial, class and other divides. Today, it is a different argument that calls for the child to remain with her biological family. Yet this changed argument continues to be misunderstood and even miscast as the argument of the past. In fact, the argument today is rooted in two newer lines of reasoning. One draws our attention to the growing knowledge about what is best for the child’s psychological well-being and the birth mother’s psychological well-being. The other asks for a critical look at the structure of adoption and its inherent inequities wherein the interests of one party –the adoptive family – take supremacy over the interests of other parties. Those who argue for adoption continuing as it is speak of millions of children languishing for the lack of parents. In fact, while these children do languish in faulty social service systems, typically they are not desired by PAPs. There is a shortage of healthy infants who resemble the “clean slate” on which PAPs would like to write the loving family story. As long as the institution of adoption is driven by the needs of the powerful and as long as it largely ignores the needs of the powerless, it will serve to pressure birth families like those of the Lambada tribe in India to relinquish children they would not otherwise have considered relinquishing. Finally, you have been very critical of the corruption in the adoptive industry and the phenomenon of ”creating” orphans in order to satisfy demand from the rich countries. What would you say to PAPs and adoption agencies who want to avoid this and make sure that they are dealing with honest organisations – what would be the best way to do this? It is not possible for even the most conscientious PAPs to avoid the corruption that sends a third party broker to a poor woman’s door where the exchange of money and/or the promise of a better future for her child persuades her to part with that child. The child who comes to the adoptive family with relinquishment papers from her biological family may nevertheless have been sourced from third party agents who placed pressure on the biological family prior to the child’s placement in a credentialed agency. This sort of corruption is inevitable given the poverty of biological families and the large sums of money involved in inter-country adoption. There is additionally no way to be certain that our reassurances to our adoptive children are true and that their biological families are not in fact searching for them. This second corruption in which we find ourselves on murky terrain with our own children is inevitable, given the vast difference in the power wielded by those who adopt relative to those who relinquish their children. In India the relinquishing mother has two months to change her mind before all her rights are terminated. There is no reason to suppose that a powerful organization of birthmothers would ever agree to an arrangement that terminates all right to contact their children. But at present no such organization exists, and first mothers are far from having the power to shape adoption. I would want the adoption narrative to allow PAPs a more honest understanding that they are entering a relationship built on inequity, one made murky by how much is allowed to remain in the unknown. It follows that we have a responsibility as adoptive parents to expend the privileges of our powerful position in the triad to seek greater equity and transparency in adoption. The site Lit Juice interviewed me a few months back about a whole lot of things, including where, why and how I write, the 'writing community in India', and what I'd be if I weren't a writer. You can read it here. Not Only The Things That Have Happened has been renamed Lost Boy and is now available on Kindle outside of South Asia for a very good price. You can find it on Amazon US here. For links to reviews about the book and about how Kindle works, go here. Please come for the panel discussion Writing and Rewriting the Northeast that I am moderating on Tuesday. I have spent the last few days immersed in the panelists' books. The themes I've encountered in their writing and the context in which they write tells me this will be a compelling discussion. For details, see the flyer at right, or go to the FB event page. And in case you haven't heard, Not Only The Things That Have Happened has been renamed Lost Boy and is now available on Kindle outside of South Asia for a very good price. You can find it on Amazon US here. For more details about how Kindle works, go here.